Hello! 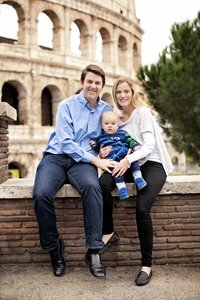 I'm Tricia, a fine art destination photographer specializing in vacation, engagement, honeymoon, maternity & solo travel photography in Rome, New York & destinations worldwide. Two years ago I traded in the concrete jungle for the ancient ruins of Rome. Even after all this time I still pinch myself! Especially when I see the Colosseum! 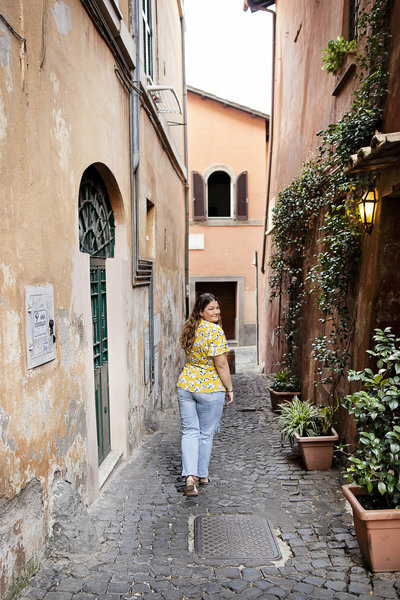 When I am not behind the lens (or computer editing), you can find me exploring new neighborhoods or more importantly, finding the best place for gelato… after all this is Italy! I love to travel and daydream of owning a Tuscan villa that may or may not have a vineyard and/or olive tree farm attached…fingers crossed!! I am a dual American/Italian Citizen. I spent most of my life growing up in Brooklyn, NY. I come from a large Italian/Irish family who I love with all my heart. Thanks to technology, being across the ocean for most the year makes staying in touch easy! I am fluent in English and getting there with my Italian! I would love to hear more about you and your story! Please send me a note below for further information about pricing and to book a session. I look forward to the opportunity of capturing those special moments with you! Have questions? Click below to find out the answers to my most frequently asked questions. For more information on packages and pricing, simply send a note through the contact form below. I can’t wait to hear from you! 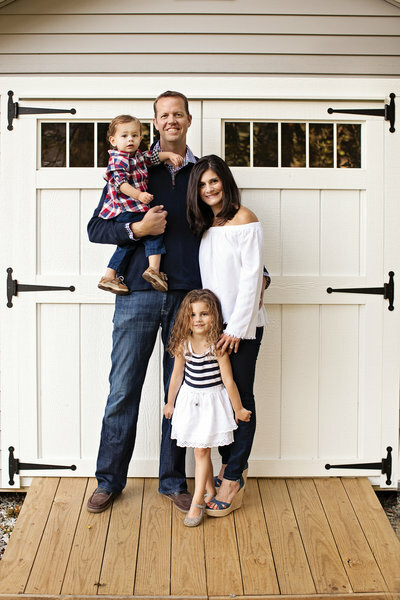 Hear what clients have to say about their experience with Tricia Anne Photography. All High Resolution images will be available for download from your personal online gallery. The gallery will be active for two weeks from delivery. I have several different options ranging from 60 minutes to two hours, depending on which package you decide. For more information send a quick note on the contact page below. Choose a color palette that you like and mix and match from there. Try to avoid busy patterns and distracting logos. Depending on the length of your shoot, feel free to switch up your outfit for a different look. Most importantly chose something that you are comfortable in. Lovely! Please submit your information in the contact form below and will get back to you within 24 hours. I look forward to working with you! I love to travel and explore new places! 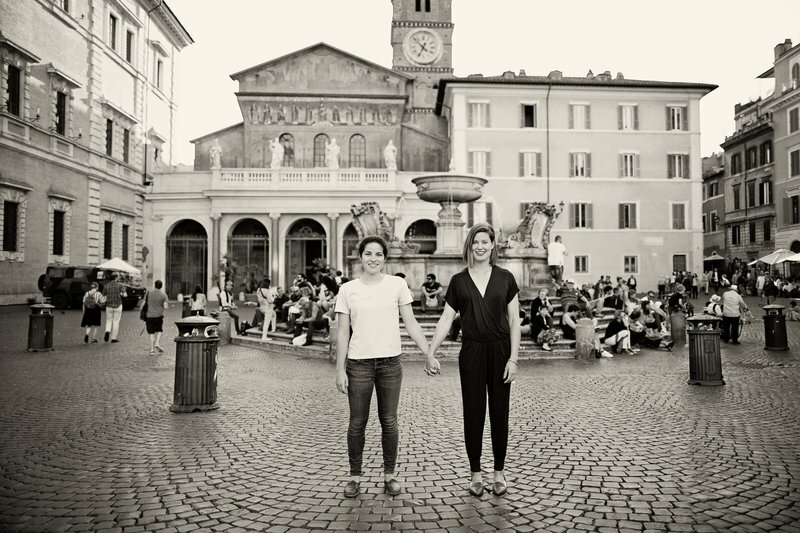 I am based in Rome and NYC, but will travel worldwide to capture your story. There is no destination too far! 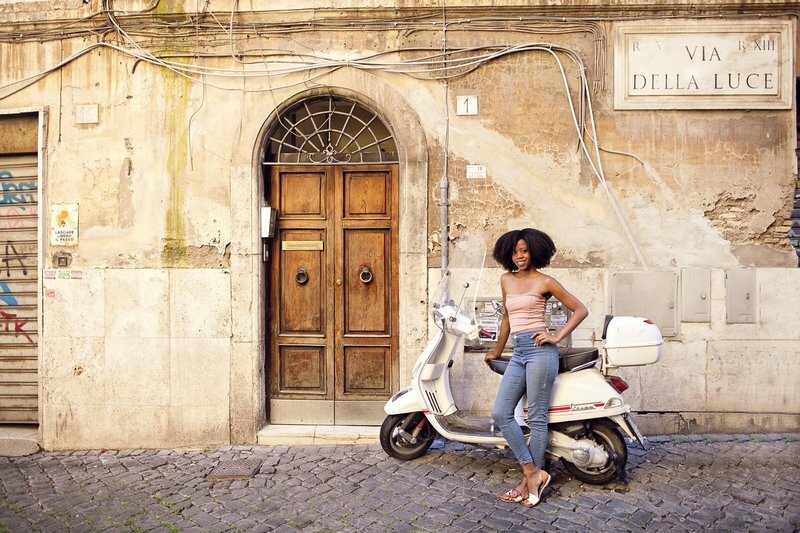 Do You only shoot in Rome and NYC? I would love to Hire you, What's next? Your online gallery will be available between one to two weeks after your shoot. I will have a sneak peek up on social media within 24 hours. "A PHOTO has an invaluable ability to tell its story over and over through the years; those memories are locked within its frame forever." Tricia was fantastic! She was friendly, professional and extremely helpful, in multiple ways! 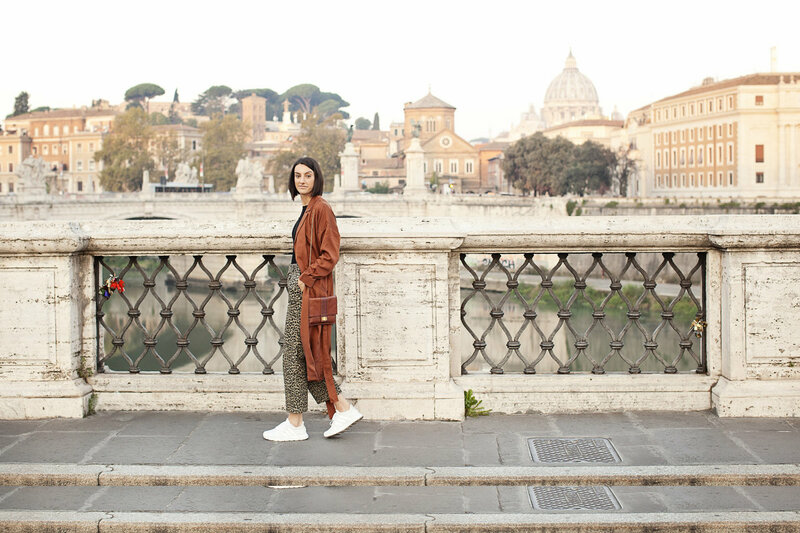 She provided recommendations for food and gelato all over the city and also really helped us with the poses by guiding us in the right direction with what to do. 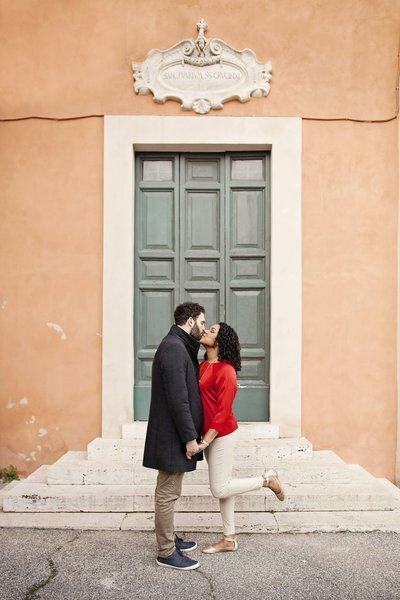 We were over the moon with our photos from her that helped capture our Italian honeymoon. 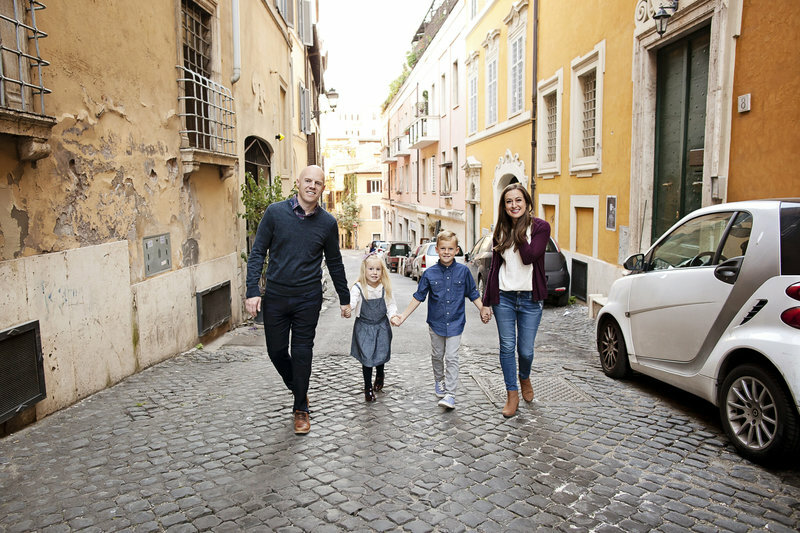 We would highly recommend her to anyone visiting Rome. 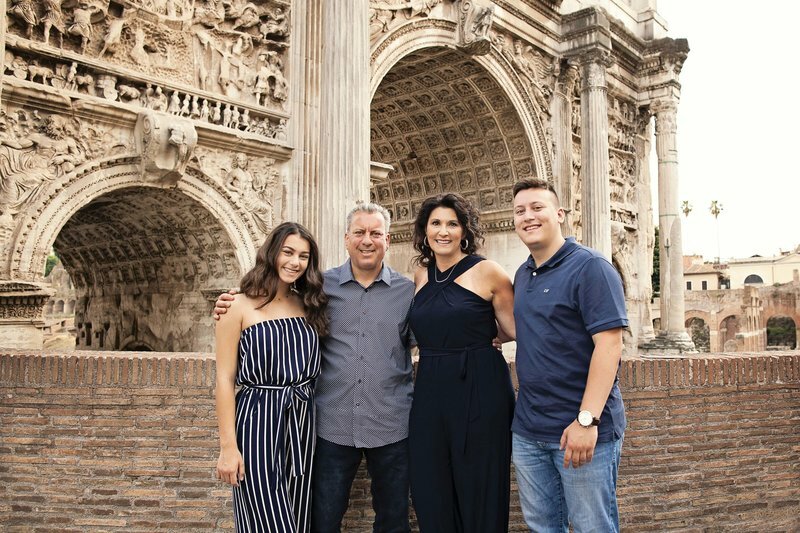 We found Tricia through google/Facebook when searching for family photographers in Rome for our trip to Italy, and are so glad we did! She was super easy to work with, flexible in rescheduling due to rain, and the pictures turned out beautiful! Even though my 21 month old was largely fussing and uncooperative, she managed to get many many shots of him both looking AND smiling - amazing! We were very pleased with the pictures and can't wait to send Christmas cards this year. 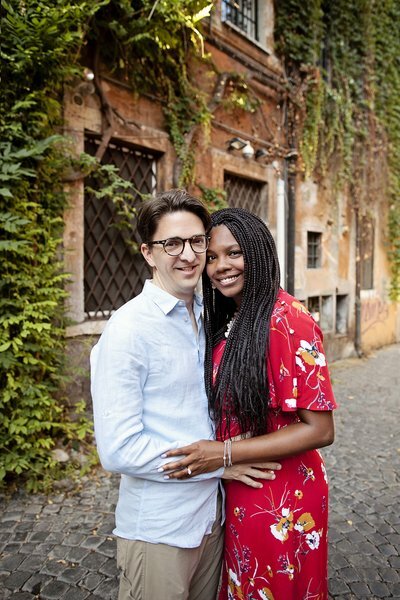 My long distance boyfriend proposed to me on our trip to Italy spontaneously as we wouldn't see each other for another 7 months we had to get some very quick engagement photos done. After a quick search I found Tricia and I am so beyond grateful that I did. 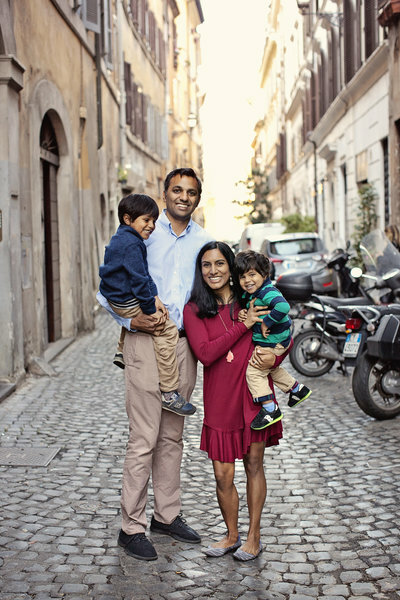 She was very prompt to respond, and worked with us in our very small window of time in Rome. She was a dream to work with, and our photos turned out AMAZING. 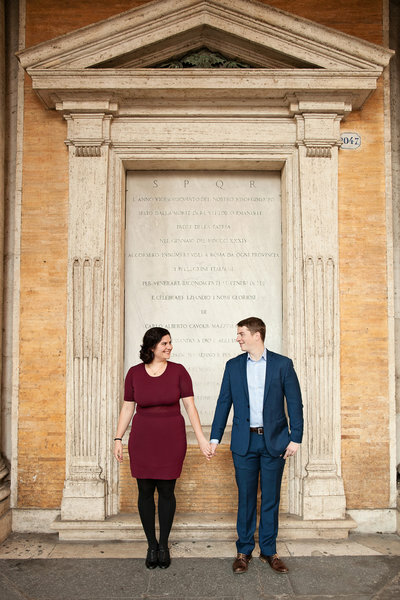 I would 100% recommend Tricia Anne if you are in Rome. I had such a fantastic time with Tricia! She’s so wonderful throughout the entire experience. It was so effortless to communicate with her through this app prior to the photoshoot, even on the day of the photoshoot to confirm location. 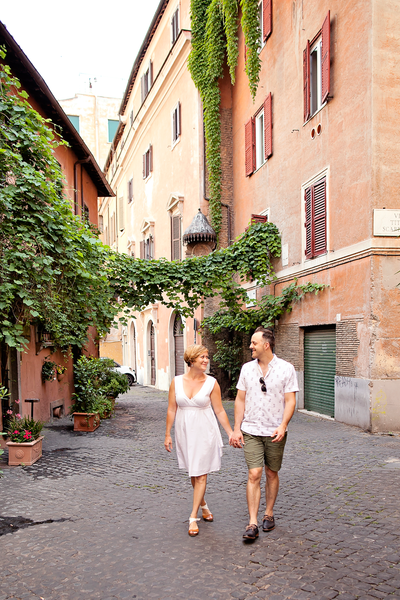 Trastevere is such a charming neighborhood, so different other parts of Rome. Her photos turned out great as well. She gave me great instructions on where to stand and how to pose. It was a pleasure meeting her and working with her. Highly recommended! 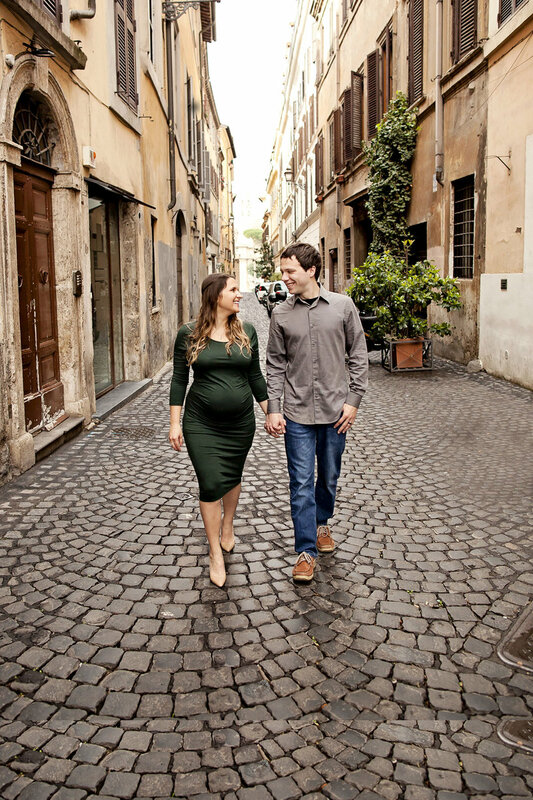 Tricia is a true professional who creates stunning images that will be our most prized souvenir from our trip to Rome where we took our maternity photos. 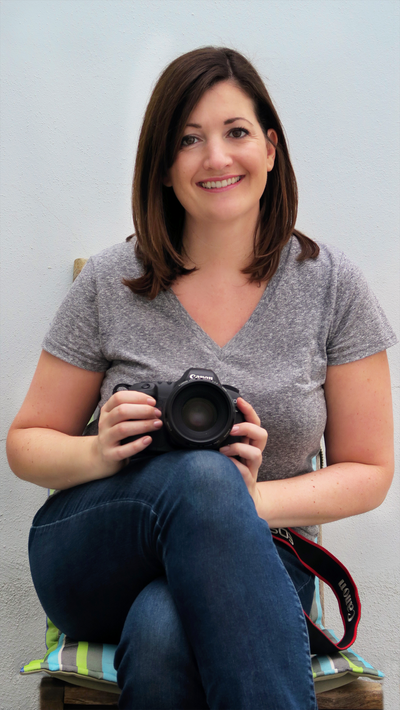 She’s knowledgeable about the area, helps you feel relaxed, and has an eye for finding the best locations and lighting for gorgeous photos. 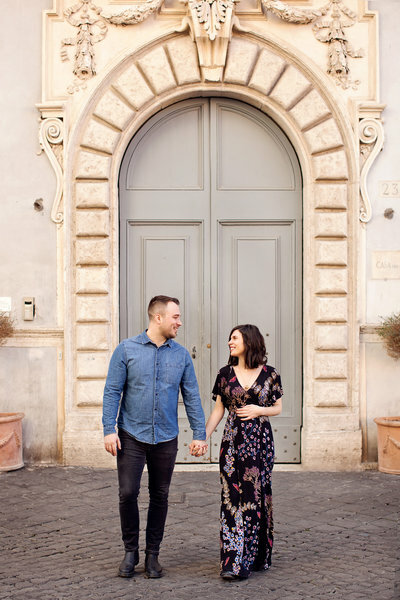 I highly recommend as a way to capture your time in Rome whether you are celebrating a special milestone like a pregnancy or just want someone to document your vacation! Working with Tricia was a wonderful experience. 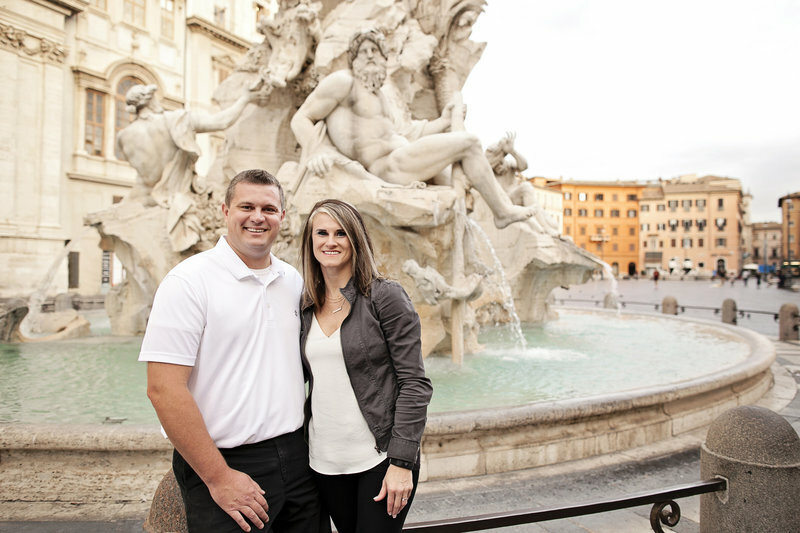 She gave us multiple options for our photo shoot and gave us a nice tour of Rome as we traveled to three different locations. 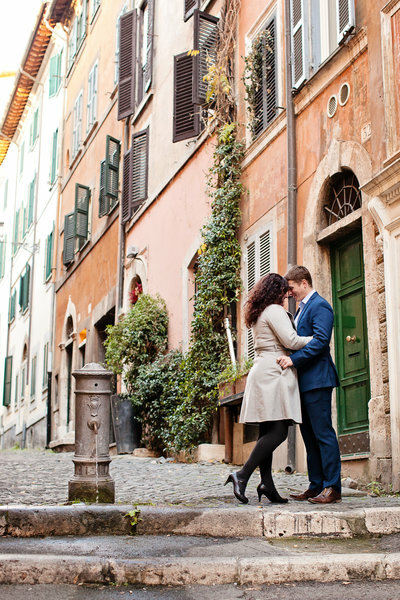 She was super easy to talk to and patient (I had to slip in and out of my heels to walk on the cobblestone streets). 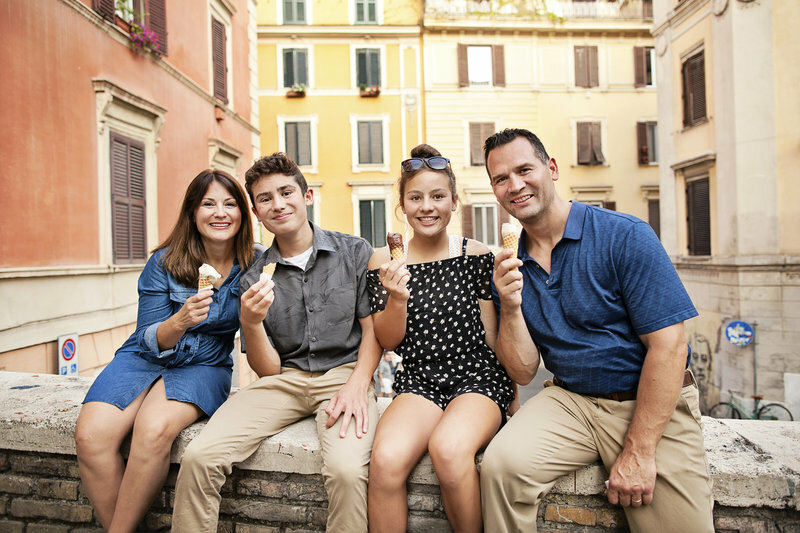 After our tour was over she sent us a list of places to visit, sites with the best views, and local foods and drinks to enjoy, and my favorite, where to find the best Gelato. 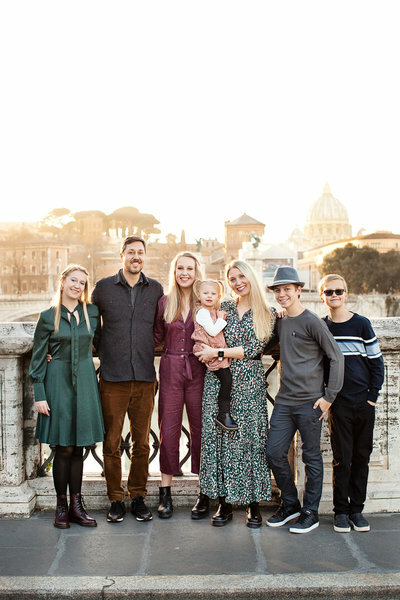 I am so happy with the moments Tricia was able to capture and I am delighted we have such beautiful professional photographs to always remember our time in Rome! Fantastic photo tour and wonderful pictures! 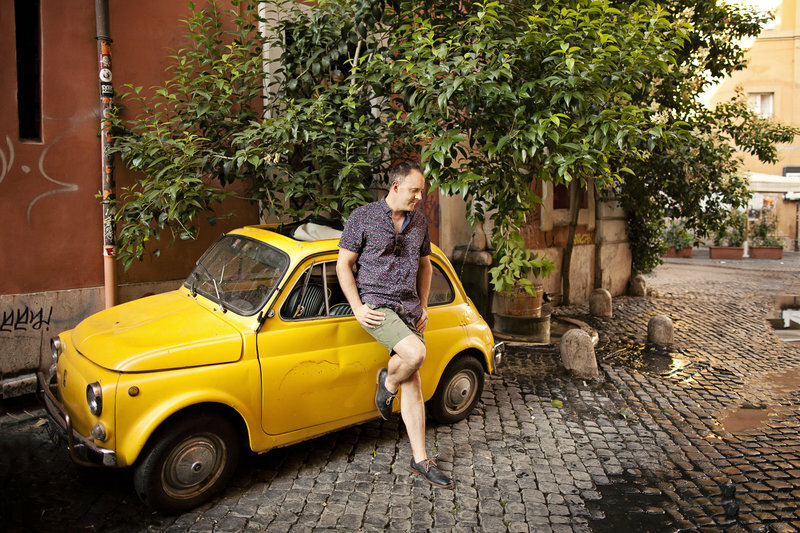 I was visiting Rome with friends for my 40th birthday and thought this photo tour would be a cool birthday treat... 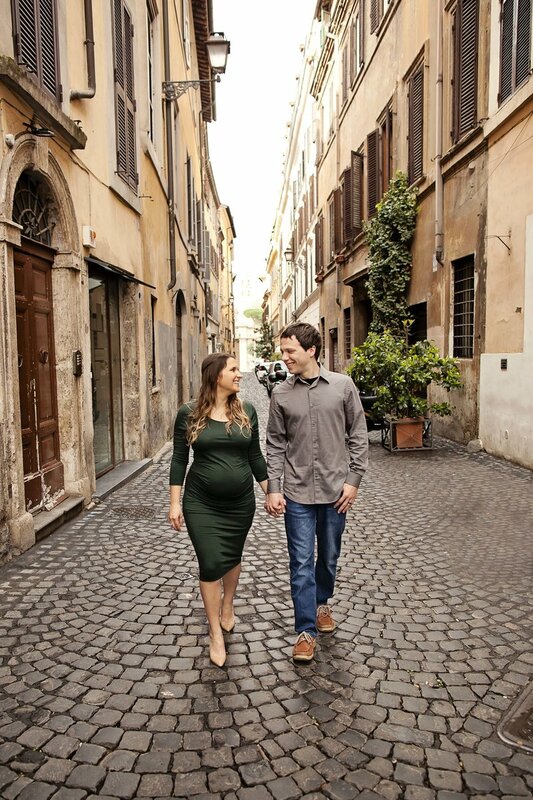 It was so nice to go to these amazing locations in Rome, and Tricia is so talented- love her photos! Thank you, Tricia, for this wonderful experience in this amazing city... you are awesome!! Tricia is awesome! 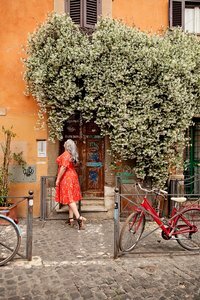 We met her in the morning in Trastevere and she showed us how to pose, had scouted different spots in advance and was just a great person to chat with! We’re super happy with her photos, they turned out beautifully. Would highly recommend! 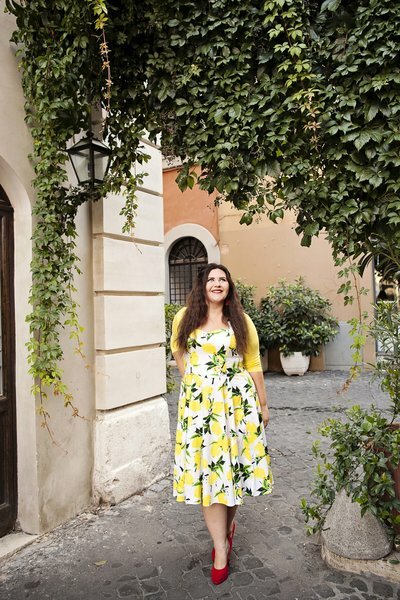 I am so pleased that I chose Tricia Anne to document my journey through the beautiful streets of Rome. She was wholly interactive, punctual and extremely talented at her art! Tricia took fantastic photos of our family to celebrate my in-law's anniversary. She was easy to coordinate with via email and on the day of the shoot, things went so smoothly sure to her professionalism and expertise. We received our photos within a week and absolutely love them all. 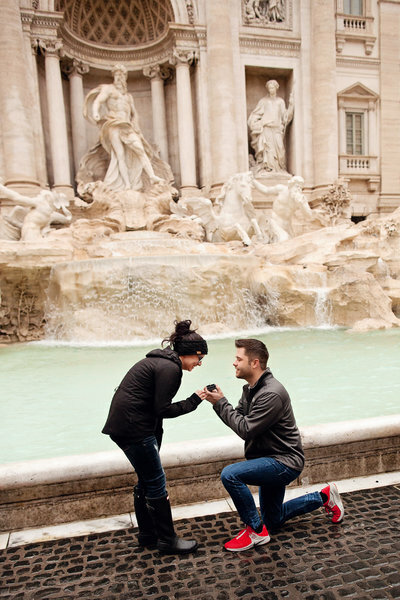 What a fantastic keepsake for our vacation to Rome. Don't hesitate to book Tricia, she's amazing! Tricia Anne was amazing. 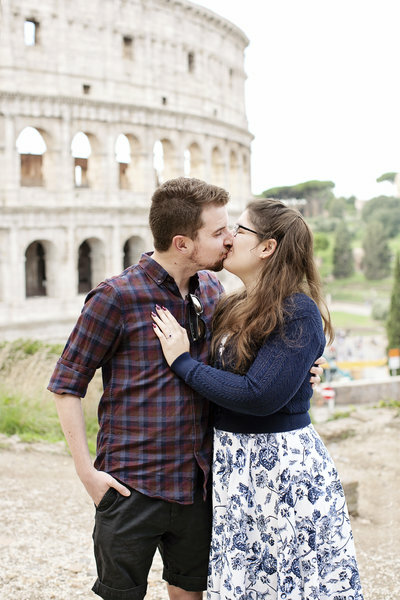 My fiance is not the biggest fan of taking pictures so I was apprehensive about the engagement photo process but she made it fun and relaxing and she got us our pictures back so fast! 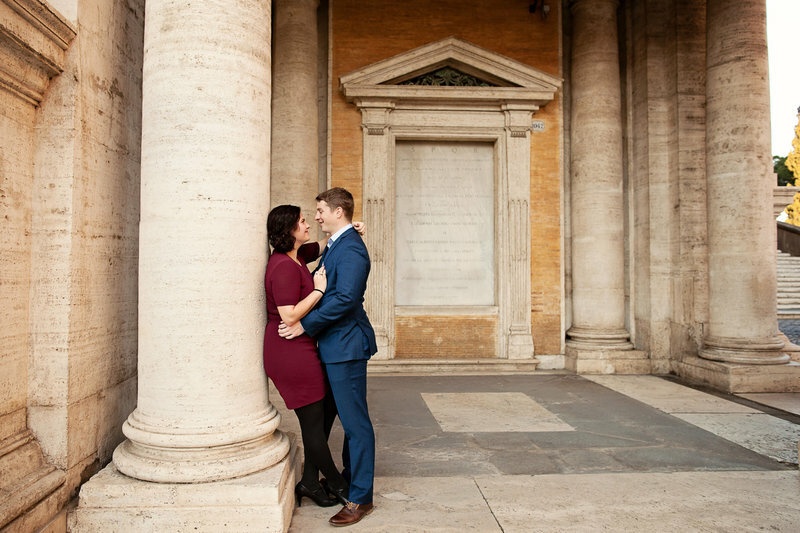 would absolutely recommend her to anyone looking for a photographer in Rome. 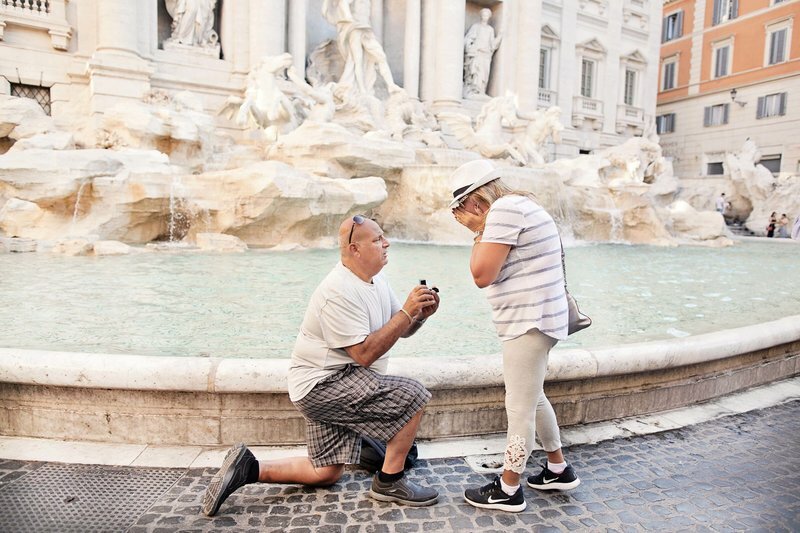 I hired Tricia to capture the moment I popped the question to my now fiancee. 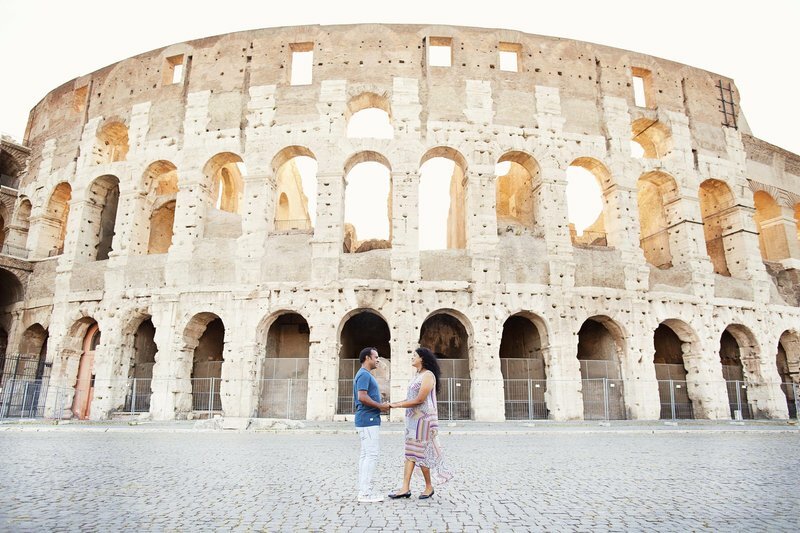 We're both big on history so I wanted to do it somewhere iconic, and where better than the Colosseum? She suggested a great, quiet spot away from the crowds and was very discreet, my partner didn't have a clue until I got down on one knee. 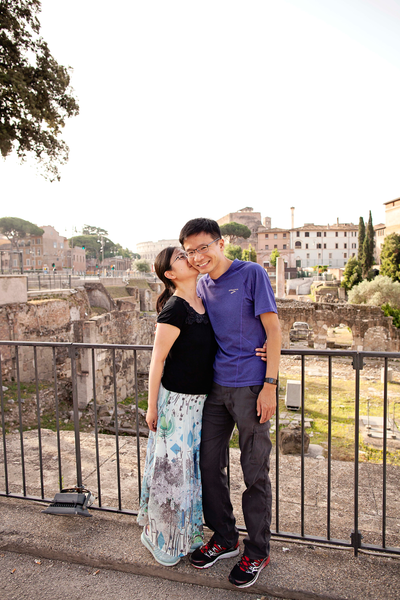 We both love the photos and would absolutely recommend Tricia to anyone visiting Rome! 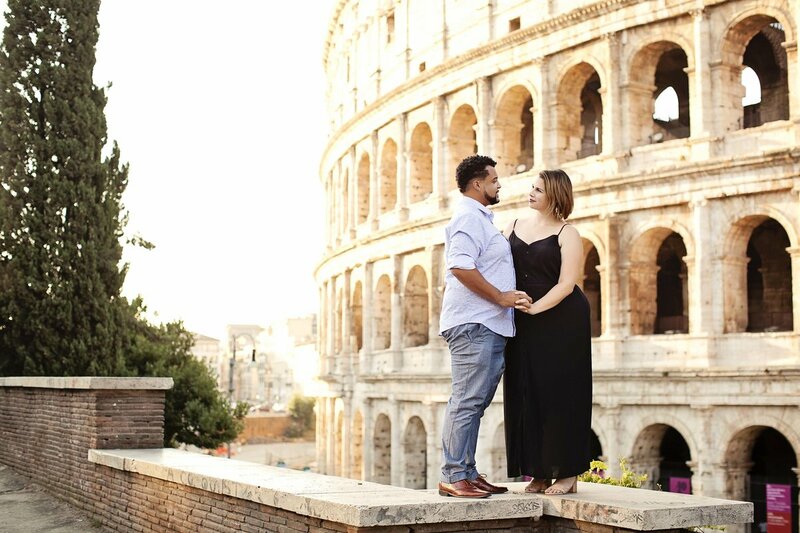 I had a great time, I would definitely recommend booking this for solo travelers if you want better pictures than just a selfie in Rome. 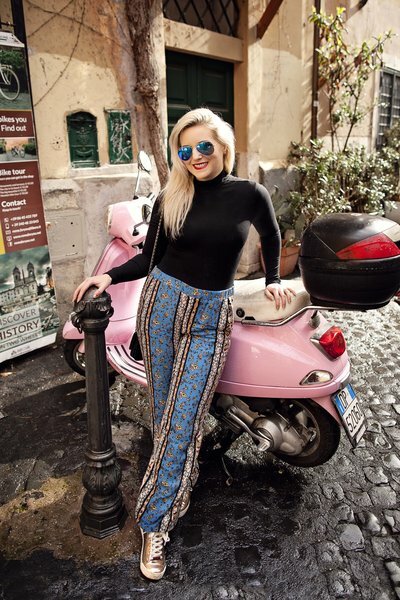 She picks perfect classic italian looking spots and gives great advice on how to pose! Loved it! We had a wonderful time with Tricia Anne! She was so easy to be around. 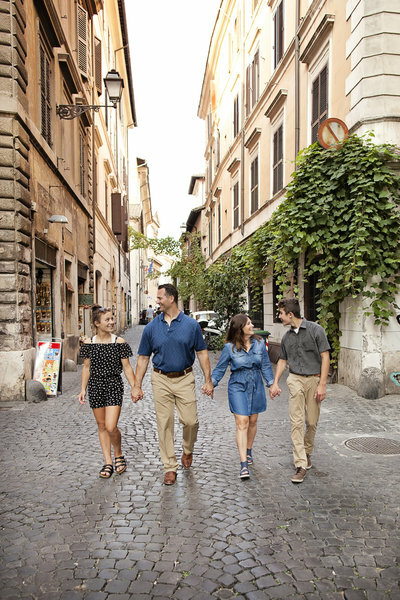 We felt like we were strolling the quaint streets with a long time family friend. It was one of the highlights of our vacation. Tricia captured the personalities of our family. This was one of our first photo shoots while on a family vacation. We will definitely continue book photo shoots on our travels. Our Christmas cards are going to ROCK this year thanks to Tricia Anne. Tricia was excellent! She was super patient and professional. She had several stops for perfect photo backgrounds already picked out. We went early in the morning which was perfect as there were no tourists around to hold up any picture taking. As a solo traveler it was fun to get an opportunity to have someone take really awesome shots for you! Tricia was fantastic: she was professional, patient, and flexible! She was able to capture our engagement photos so perfectly, and was so quick in returning the edited photos! Thank you Tricia! Tricia Anne was great. Not only were the pictures superb, but the entire experience was so easy. She was flexible and a pleasure to work with. She also knew all the best spots and angles of the big landmarks to shoot from. 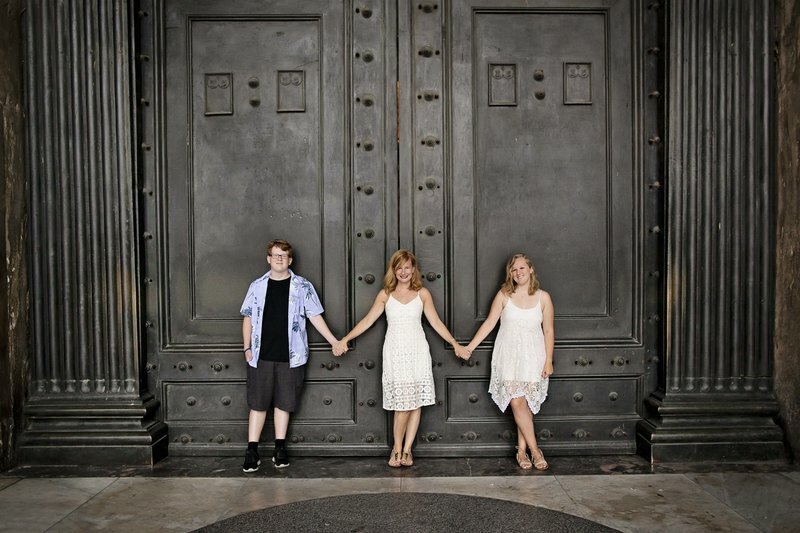 The photo shoot was definitely a highlight of our trip - which is quite a statement! 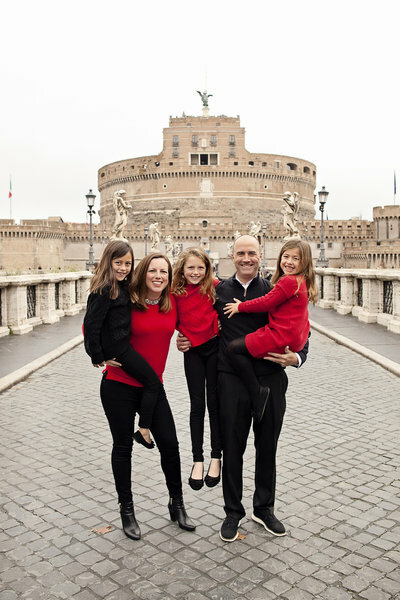 I am so thankful that I chose Tricia Anne for a vacation photograph session while in Rome. The photos that she took were stunning. She can capture the light in such a magical way that shows in all the pictures. Most importantly she was so professional and a warm hearted person that was a pleasure to work with and made the experience such a pleasure. My boyfriend proposed to me during the shoot and she was able to capture such an amazing moment in our life on the fly. I so greatly appreciate being able to have that moment photographed and would recommend her to anyone again and again. THANK YOU TRICIA! Wonderful experience and great photos!! 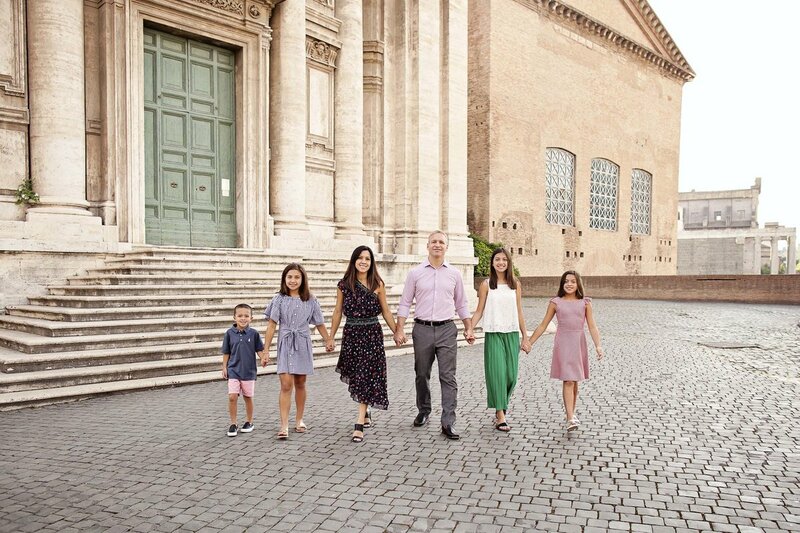 Highly recommend Tricia Anne Photography for family pictures in Rome. Great communication and reasonable prices. The locations were spot on and everyone enjoyed the process. Quick turn around time too! I had a blast shooting with Tricia, she gave me lots of good tips of places to visit during my stay and the locations for the photos we took were great! 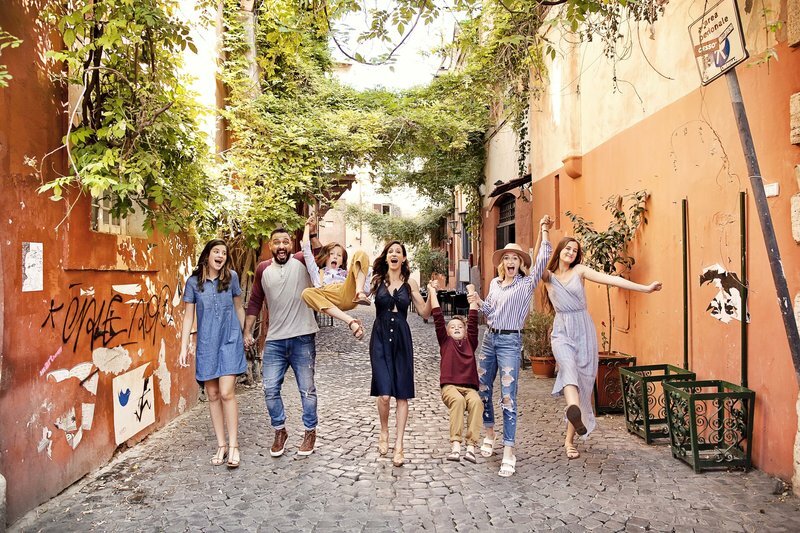 Would definitely recommend this experience to solo travelers or anyone looking for professional photos during their trip. 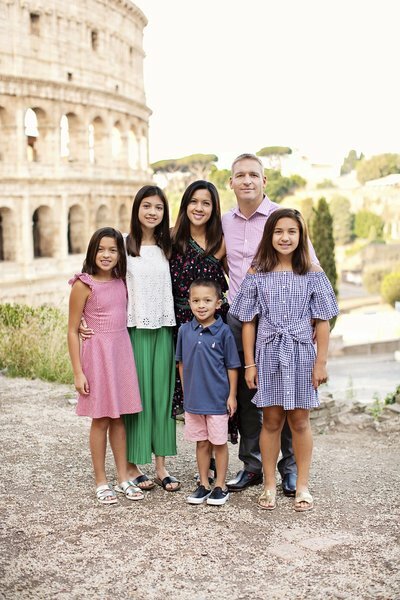 I am so pleased with the images that Tricia captured during our family vacation in Rome this summer. Working with 2 adults and 4 children is no walk in the park, but she did it with ease and such professionalism. She was lovely and engaging with the kids which allowed for better pictures. I received a sneak peek quickly and the gallery promptly. I will cherish these images for a lifetime. 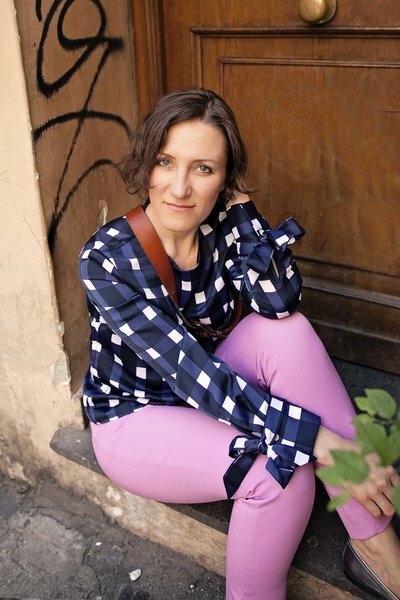 Grazie mille, Tricia! 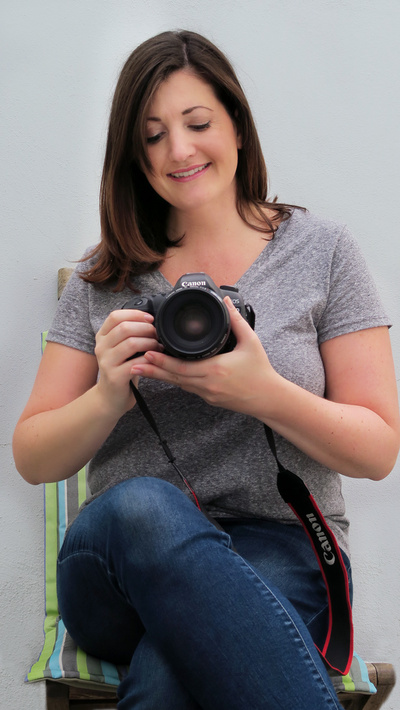 Tricia is a talented photographer and very interactive and fun. As I was a solo traveler she game me a lot of recommendations before my travels. Apart from all of that she is a inspirational person and very interesting to talk to so in addition to getting some amazing photos you will enjoy some good conversations with her. Tricia was super sweet and our pictures came out amazing! 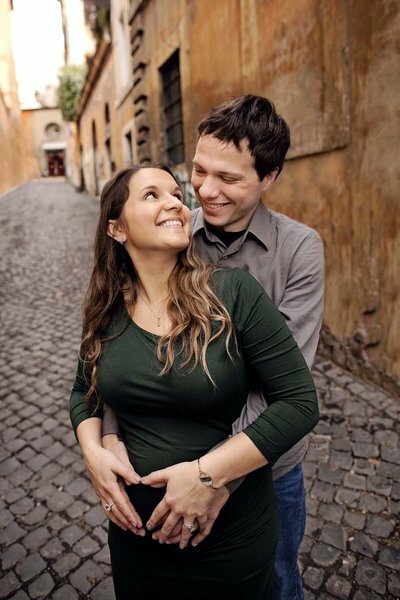 I am so happy I trusted my gut and decided to take maternity pictures while on our babymoon, and especially that we chose Tricia to be our photographer! 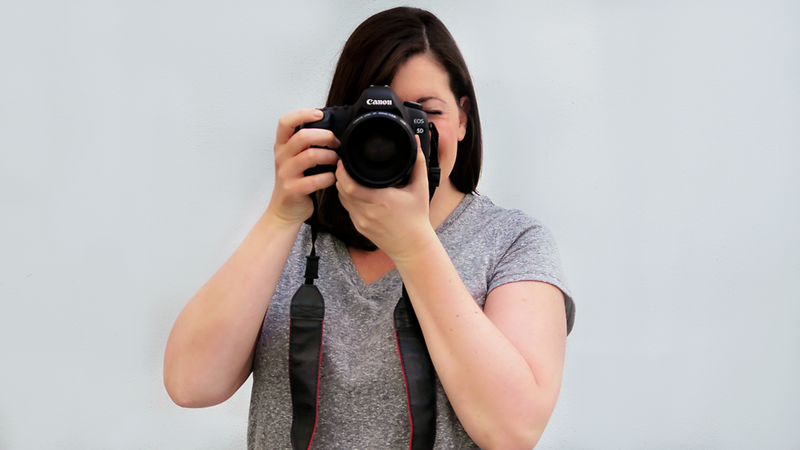 We highly recommend her to anyone needing a photographer! 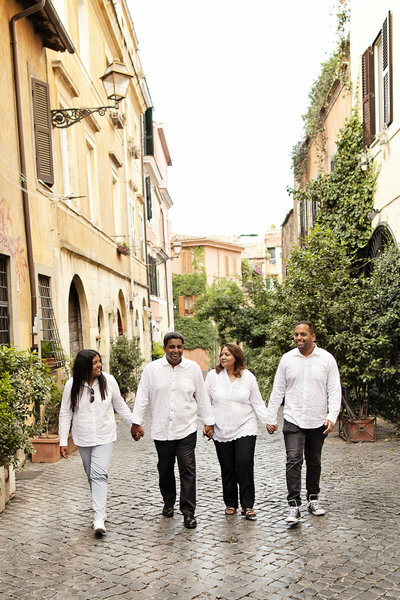 Tricia photographed our family during our recent trip to Rome. We love the pictures and were able to highlight so many for our Christmas card. Tricia has a way with kids and got all of my girls to smile in group shots! A miracle! She was also extremely accommodating and helpful in rescheduling due to rainy weather. We highly recommend her! Tricia was awesome! We had a lovely morning walking around taking pictures and chatting. 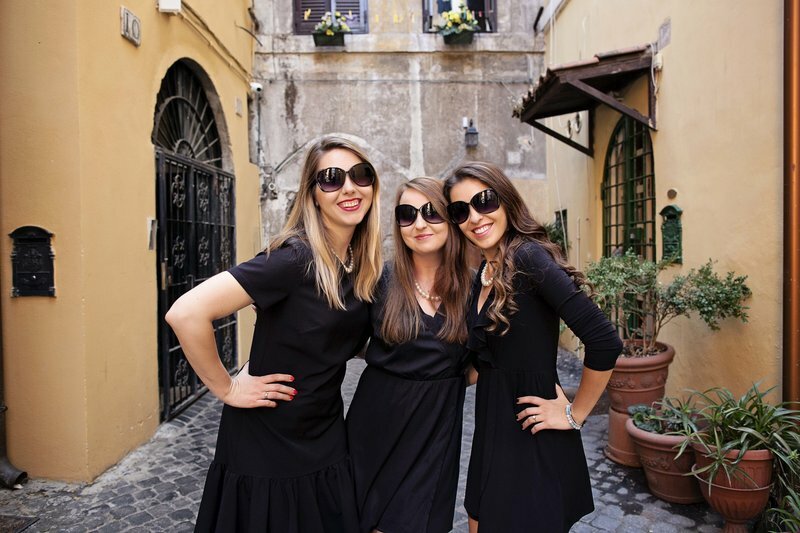 This is really awesome for the solo traveler because it gives you a relax atmosphere to be social while exploring a different area in Rome. Would 100% recommend! 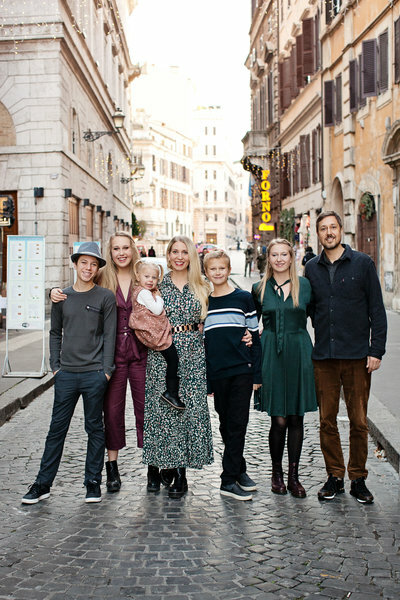 Tricia took our family photos when we were on holiday in Italy. 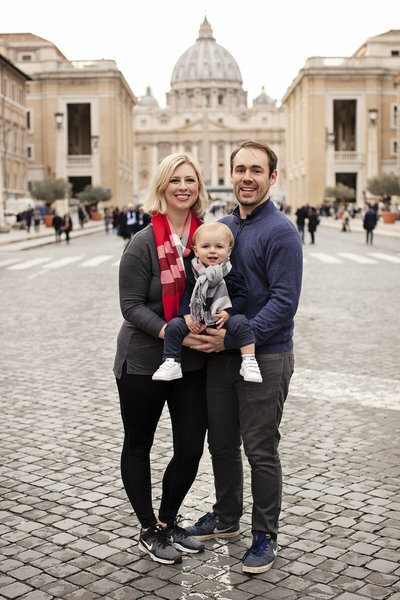 She did a wonderful job keeping our 1 year old son's attention and working with all of us to capture memories of our first family vacation! With Tricia we never felt stressed over timing or behavior - her relaxed attitude helped keep us in vacation mode through photos. Tricia immediately made us feel comfortable and welcome. 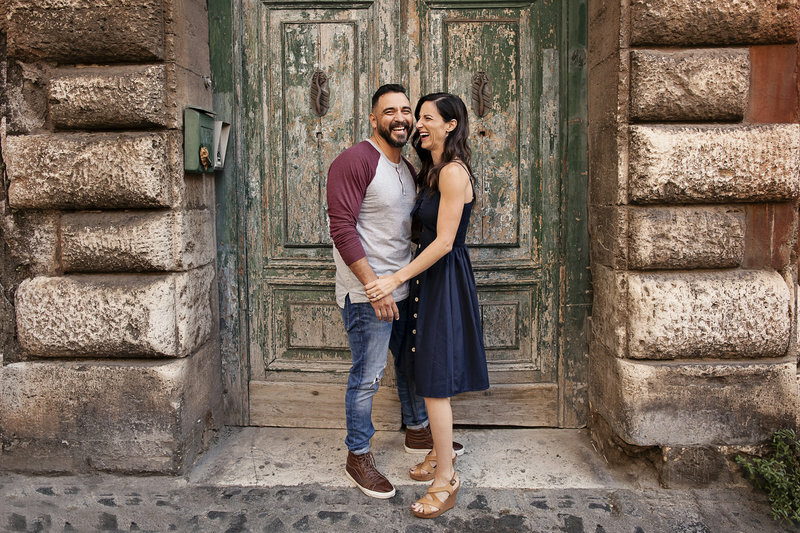 She has an incredible eye for the beautiful and authentic, and captured us naturally in it. We couldn’t be more pleased with the pictures; Tricia’s work was simply breathtaking, and she was a real pleasure to work with! Tricia has very welcoming and made you feel very at ease in front of the camera. She is highly experienced at what she does and very friendly. The photos produced were stunning. I can't recommend her enough. Thank you again. Tricia was very helpful and responsive. 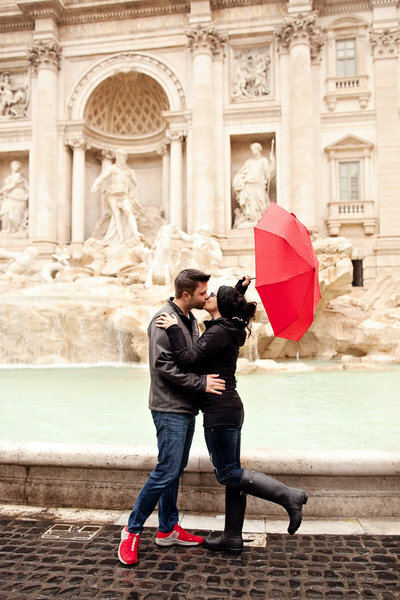 We highly recommend her for a couple's photoshoot or even engagement shoots in bella Roma. She captured such wonderful shots in a natural way as we took a lovely stroll through the historic center at sunset. We could not be happier with the experience and we absolutely love the pictures! Being with Tricia was very easy - she has a warm personality that allows you to get right to the good stuff! 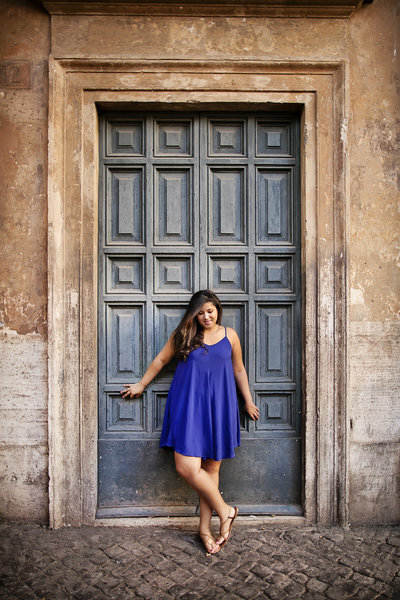 Trastevere is a great place for cool photos and Tricia knows the neighborhood well. 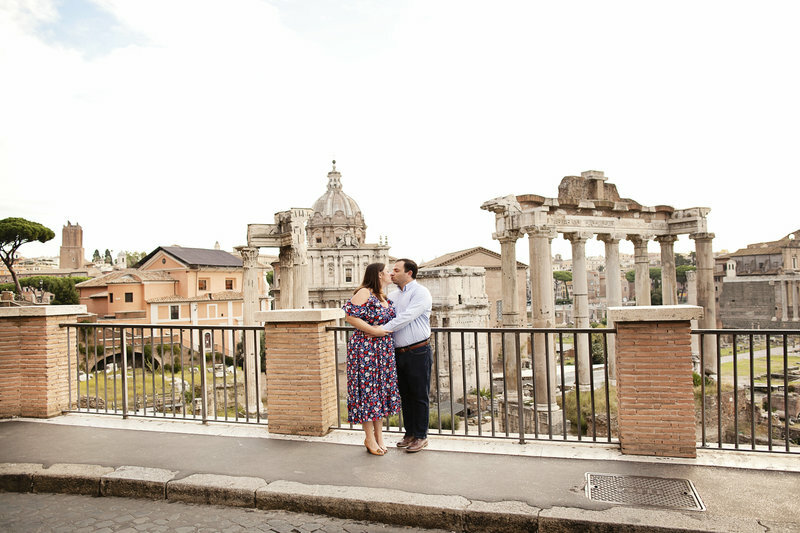 As a solo traveler my pictures rarely include me, so it was really special to have Tricia make some personal keepsakes of my time in Rome - it's a great idea! Working with Tricia is amazing! On time, great communication and fabulous pics! 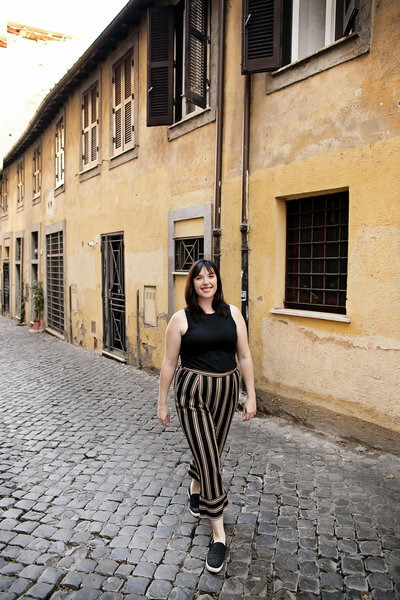 She shot some pics of me while on a solo vacation to Rome last week.She really captured the me in the beauty of the streets of Rome. Plus she knew exactly where to go! 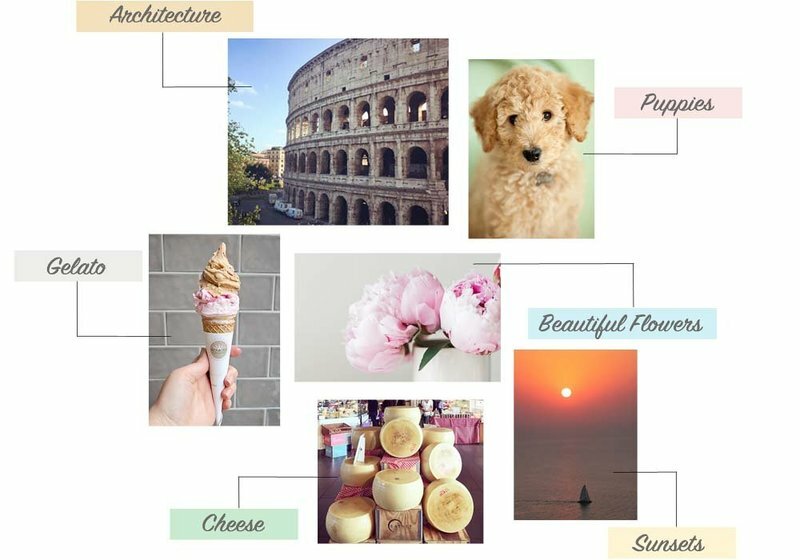 In addition to great pictures she also had excellent recommendations for long walks and Gelato! 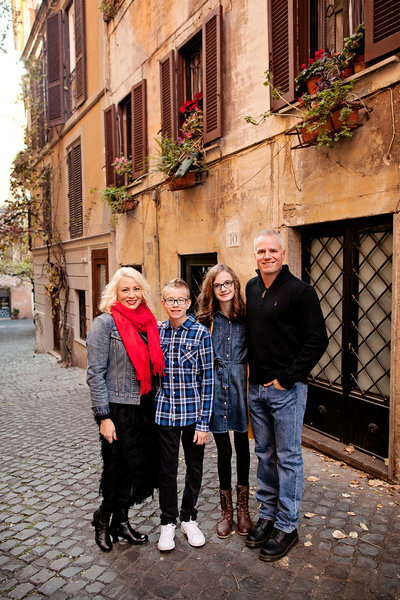 Tricia did an amazing job as to take travel photos while my family visited Rome. 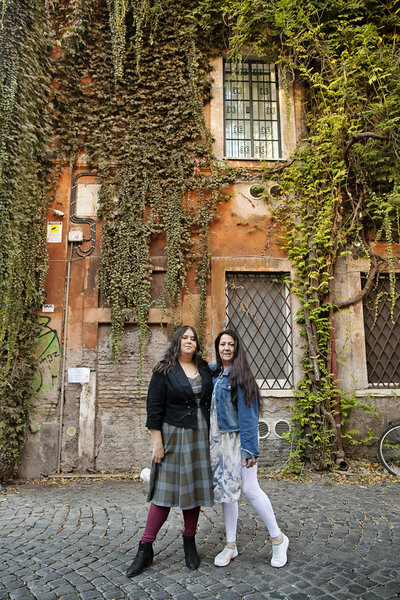 She also shared her passion about Rome so that we got to know more about the city. Highly recommended! 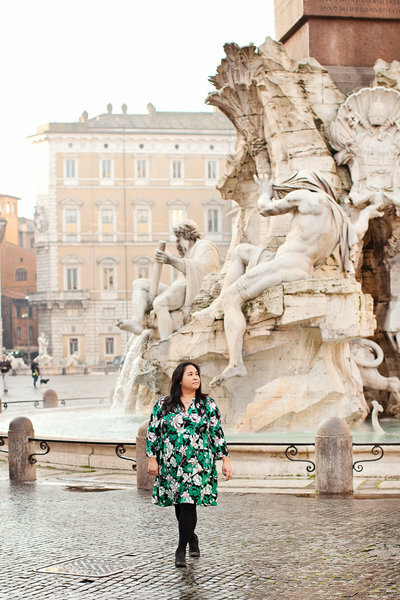 Tricia took amazing travel portraits of me when I visited Rome. 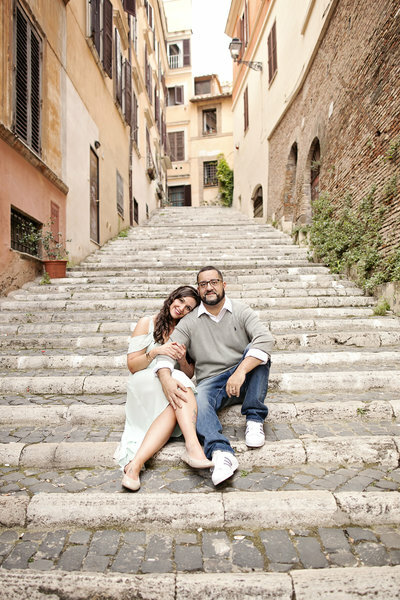 She took me to stunning locations in Trastevere and worked her magic. I was very excited to see my photos and they exceeded my expectations. 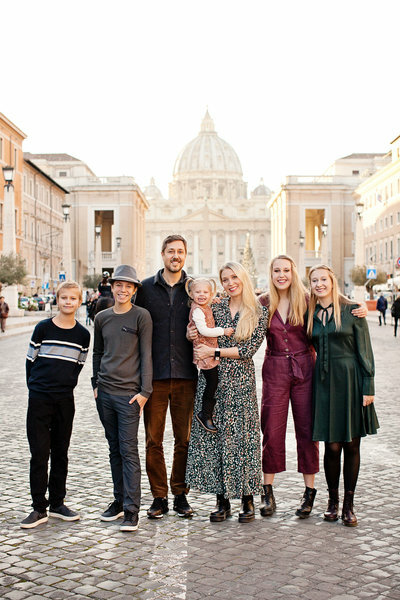 I also had a great time as Tricia shared with me (ever so patiently) about her life - as I had a ton of questions about what's it like to live in Rome etc. Very professional, prompt, helpful and a good communicator. Everything you need in a pro photog! 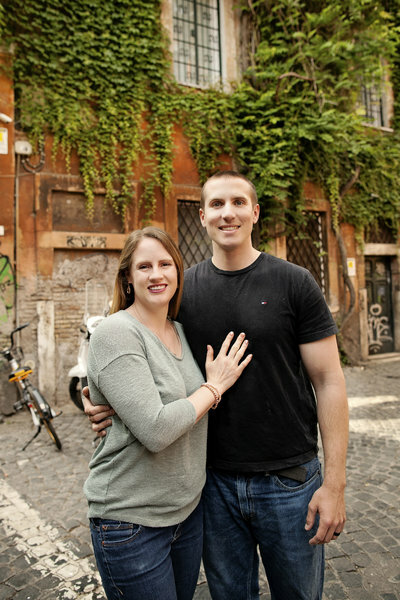 Tricia was very friendly, professional, a native English speaker (U.S.), and had a lot of good suggestions for things to do, see, eat, and drink in Rome! Tricia is a fantastic photographer! We have used her for the past 5 yrs since my daughter was first born. She is always able to get a great shot (even with two crying kids!) We always enjoy our shoot with Tricia and are consistently pleased with the results! Tricia made it super natural to take pics, especially for someone who doesn’t find taking pictures natural. She sent me the pics within 2/3 days and they all came out perfect and I loved them! I'm simply over the moon with the quality and care that has gone into these photos. They have not only created a treasure for us, but also for my family and friends who just love the them! We had a wonderful time during the photo shoot, so thanks so much for the ease with which you help create these memories. I can't wait to display them!! Tricia was so nice and pleasant, and she made me feel very comfortable. AND, her pictures are absolutely beautiful! 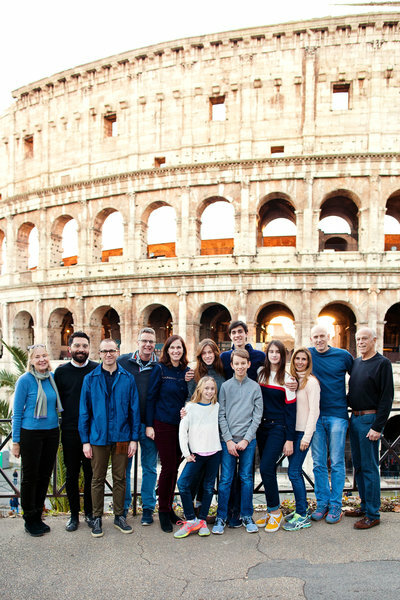 I am glad that I chose Tricia to take shots of our group of 15 while in Rome. She did a great job capturing my immediate family that are often camera shy. The photos definitely capture the amazing time that we had while on vacation. 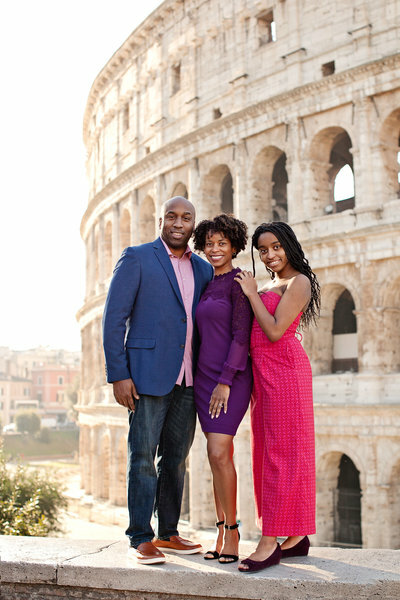 I hope to return to Rome for more shots with Tricia in the future. Highly recommended. Tricia was a treat! 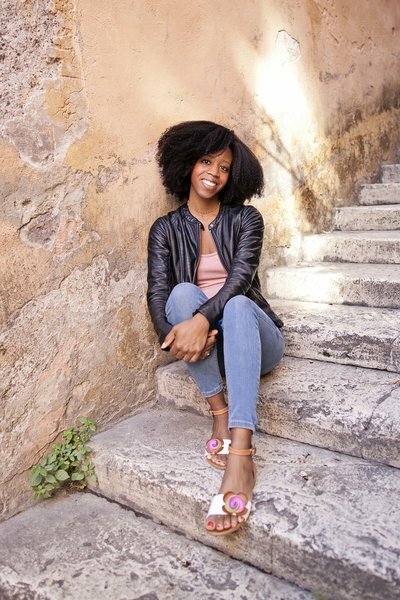 Getting the perspective of an American expat in Italy was a wonderful experience. 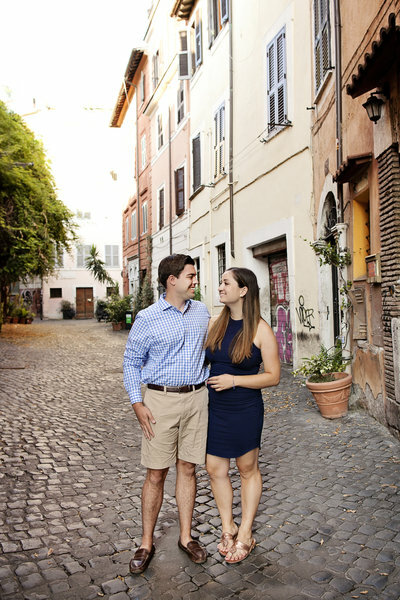 We walked Trastevere, a unique part of Rome that feels authentic and produces an artistic touch to pictures. She was fun and helpful getting poses and shots for us. 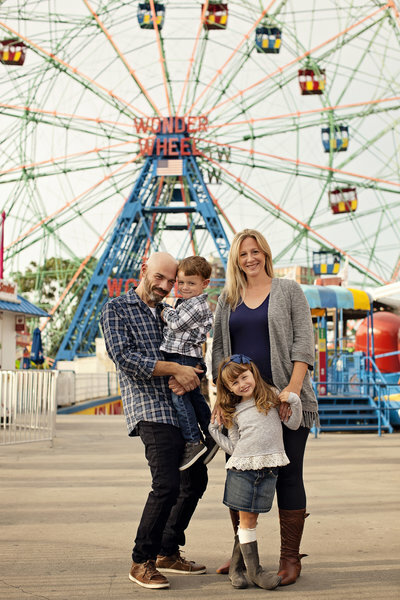 Tricia has been taking pictures of our family since our daughter was born 5 years ago. We've done newborn shoots, 6 month shoots, 1 year cake smash shoots and now family shoots with our family of 4. Whether indoors or outdoors, the photos have always been beyond amazing - magazine quality. Not only does she take gorgeous photos, she is wonderful to work with. We look forward to more shoots in the future! So happy we booked with Tricia! 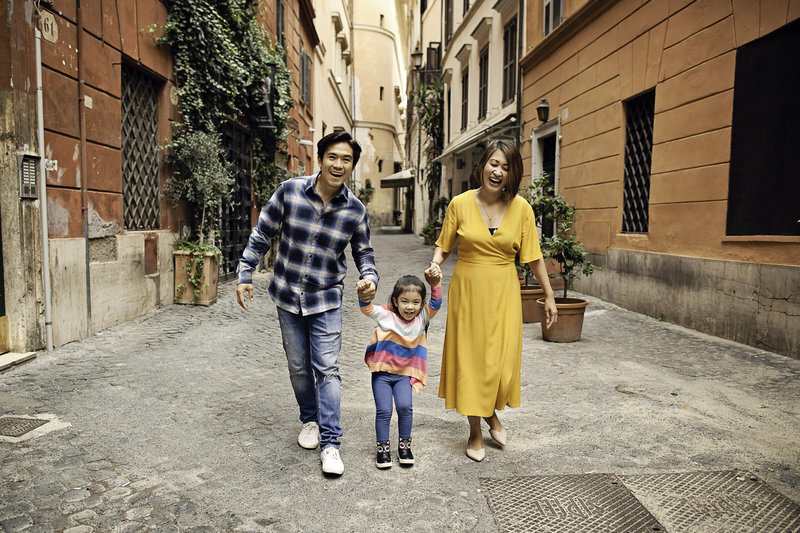 She knew just the right time and places to go, the shoot was casual and fun and the photos are amazing - wonderful memories of our Rome vacation, we've already recommended to friends. Thank you Tricia, hope to see you again soon! Your message has been sent. I will REPLY shortly.